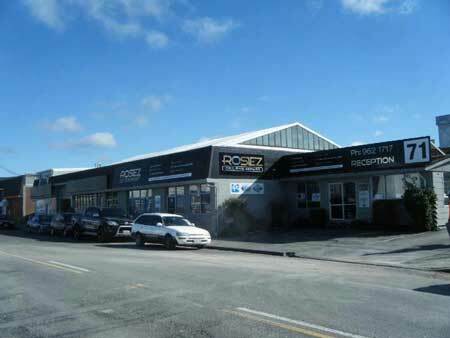 Rosiez Collision Repairs is a Christchurch based panel and paint shop specialising in all aspects of accident repairs, collision repairs and spray painting. Having started in 2007 with 1 branch and 5 staff, we have grown in 10 years to now have 2 branches and 22 staff. With a high priority on having a "do it once, do it right" attitude this has helped us grow and become a leader in the marketplace. We are constantly up-skilling and training our staff, to keep up with the latest repair methods in an ever-changing vehicle technology-based industry, so we actually know how to fix the cars of today properly. On top of this we are part of the Collision Repair Association (CRA), a certified structural repair centre and recently signed up and passed the audit to become a "Code of practice" certified repairer, the highest level of CRA status. 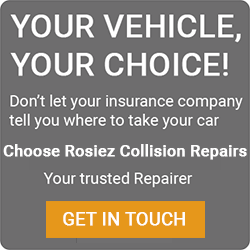 For fleet customers, we understand how demanding the industry is and how important it is to keep your repair and out of service times to a minimum, and that's our forte'- FAST accident repairs. The City branch has been operating since 2007 and is nicely situated in Byron St, Sydenham. 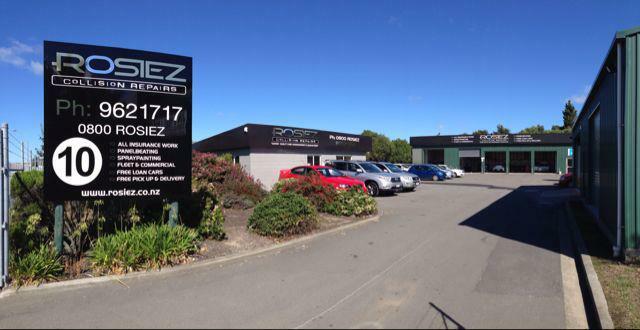 This branch is our major insurance collision repair centre. The city branch is fully equipped with all the latest equipment to complete the repair back to factory specifications, and specializes in all aspects of the insurance claim. We deal with all insurance companies and have a great relationship and understanding of how this process works. We also cater for private, rental, trucks and fleet work here too- no job to big, or too small. We have available Free use of one of our 22 late model loan cars AND two Vans available for your driving pleasure while your vehicle is undergoing repairs. The South branch has been operating since 2012. This has been set up to handle small to medium "Fast" accident and collision repairs. We use the latest technology and systems to help ensure we can turn repairs around nice and fast to get you back on the road. We also cater for insurance and truck/commercial here too. We have available Free use of one of our 22 late model loan cars AND two Vans for your driving pleasure while your vehicle is undergoing repairs.